SR76 Beerworks is the first brewery of its type in Southern California owned by a Native American Indian tribe. Our brewery and the brews we craft are inspired by how our people would travel between coastal and inland camps along the San Luis Rey River—a path which would later become the highway known as SR-76. A corporation wholly owned by the Rincon Band of Luiseño Indians. Brian Scott is living a brewer’s dream. After a lengthy career including stints at Firehouse Brewing Co., Mission Brewery and Karl Strauss Brewing Co., he is calling the shots as the head of SR76 Beer Works. That interest is owned by the economic development arm of the Rincon Band of Luiseno Indians and installed within the master-structure of Harrah’s Southern California Resort (777 Harrah’s Rincon Way, Valley Center). It’s the first brewery of its kind in the county and, given its business efficiencies, Scott and his associates see it as a duplicable model, both locally and abroad. From a brewing perspective, Scott cites numerous advantages at his inland North County anomaly. Chief among them is having his biggest customer—the resort—right next door. 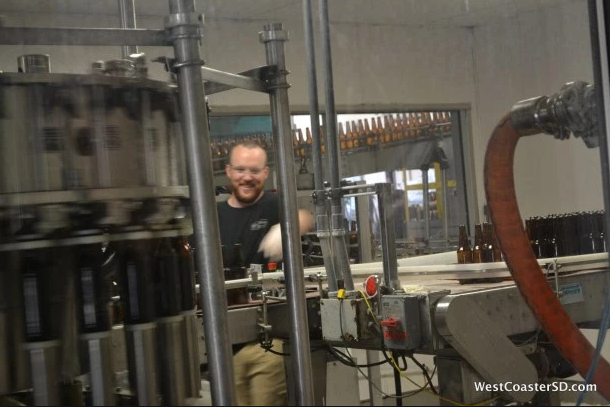 Rather than distribute product across or outside San Diego County, Scott can focus all of his attention on close-knit colleagues, meaning he can maintain first-hand quality control regarding beers and the lines they are dispensed through, and help the resort trouble-shoot and repair any problems that come about. 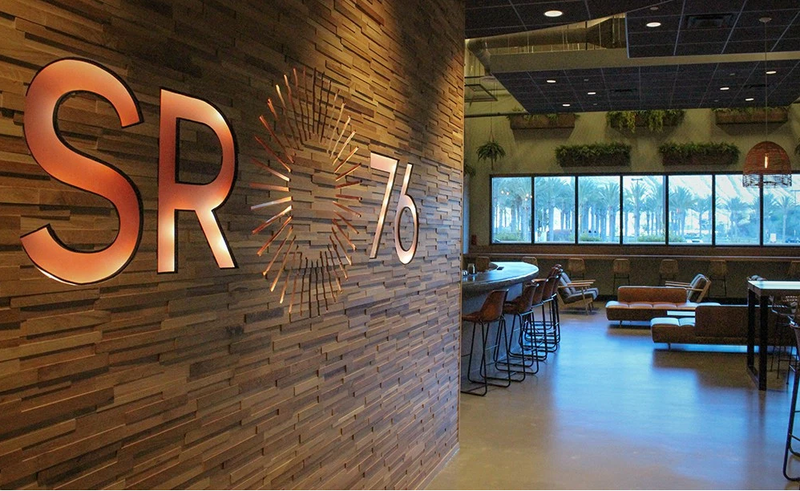 SR76’s beers are available at the resort’s family of bars and restaurants, which go through enough kegs that there is currently no need to explore selling product to outside accounts. Additionally, the resort selecting the beers that fill out the rest of its taps and fridges, allows for control of competing brands. Even so, Scott is not looking to go head-to-head with big boys like Ballast Point, Stone or Green Flash. He doesn’t even brew an IPA. Instead, he’s aiming for approachability and producing a line of session beers that will be compatible with the tastes of the resort’s diverse—and largely new-to-craft—clientele. The way he sees it, having his beers predominantly featured at a resort with the size and scope of Harrah’s allows him to touch tons of people other craft breweries have little or no access to, so he doesn’t want to lose them with massive bitterness, big-alcohol or outlandish adjuncts. 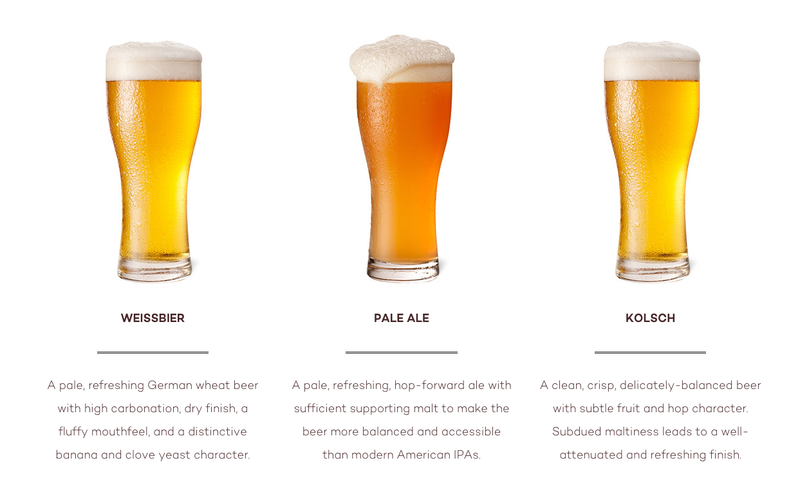 As such, SR76’s current quartet of core beers consists of a German-style wheat beer featuring traditional notes of banana and clove, a light-bodied Kölsch, and pale ale built to scratch the IPA itch care of Mosaic hops and 70 IBUs (international bittering units). His most avant-garde offering might actually be the best shot at converting oenophiles and the beer-averse. Dubbed Supul (translating to “one”, signifying it being the first beer brewed by SR76), it’s a sub-4% alcohol-by-volume saison that, with floral notes of violet, lavender and honeysuckle, comes across like the ale-equivalent of viognier. The body of this beer, as well as that of the wheat and Kölsch, is thin by traditional standards, but that may be advantageous once temperatures reach the extremes that are the norm during North San Diego County hot summers. SR76’s tasting room is in a separate ground-floor structure across from the hotel’s main entrance. A condition of the business’ manufacturing license dictates that it can’t be connected to Harrah’s, but Scott sees advantages there, as well, stating that it renders his sampling space as an “oasis” of sorts. 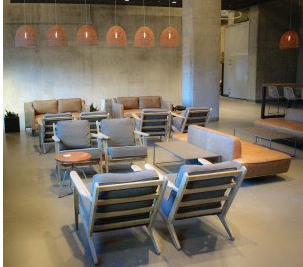 While the casino and hotel pool-area are typically high-energy, loud and even a bit raucous (particularly during the sunny season), SR76 is lounge-like with its bevy of comfortable seating options and lack of gaming or TVs. Most of the customers who venture there are looking for beer, a break or both. Like most local tasting rooms, beers are sold below at-large prices, which was important to Scott, who wants a visit to the source to be as authentic as any other. The smell of steeping grains on brew-days really helps hammer that home. Another bonus: guests are allowed to bring food in from the resort’s plethora of dining spots. A prime reason the tribe opted to get into the brewing business was to be able to spotlight San Diego’s brewing culture while keeping beer-seekers on property. Harrah’s has historically been a key supporter of the San Diego Brewers Guild by sponsoring the Rhythm and Brews Music and Craft Beer Festival, and putting on its own Hop Heads and Dreads Craft Beer and Reggae Festival. By constructing a brewery, the resort now has increased ability to put on large-scale events, and they are exploring ways in which to do so. Thus far, SR76 is performing to tribal expectations, albeit during the slow-season for tourism and beer-consumption. Time and data collected during peak months will tell the true tale, but if the operation is successful, the SR76 team sees this as a model that can be duplicated at resorts throughout Southern California and beyond—citing Northern California, Arizona, Oklahoma and North Carolina as potential regions for on-property brewery infusion. **West Coaster is a media partner with PillartoPost.Org Daily Online Magazine.